We've heard the story before. You were stuck inside some store working all summer long so you never had time to get a decent tan out in the sun; but you want to go out on Halloween with all of your friends dressed as those crazy kids from the Jersey Shore. (Man, they live a great life of scholarly pursuits and pure ways, don't they?) What are you ever to do though? All of those people are absolute bronze goddesses! Why don't you try this Ultimate Bronze Tan Makeup? It's not exactly the best thing for everyday use (It cakes on a little thick) but it will definitely give you a fantastic tan for that Halloween night at a sweet costume party. 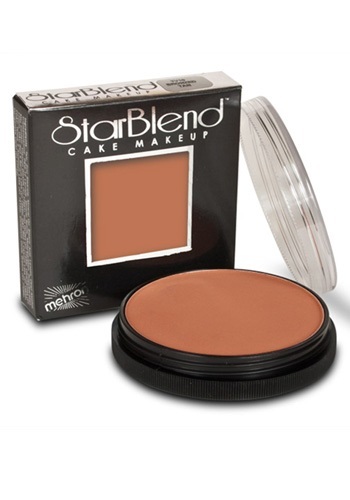 Need a little extra makeup for your theater performance where your character is from a slightly warmer climate? This works great for that too!